Donald R. “Don” Zimmerman, 77 years old of Belle Center, Ohio passed away peacefully September 12, 2018 at St. Rita’s Medical Center in Lima, Ohio. He was born November 11, 1940, in Bellefontaine, Ohio a son of Otto Zimmerman and Bertha (Rogers) Zimmerman. In addition to his parents, Don was preceded in death by his sister Dolores, and his brother Eldon. Don proudly served his country in the United States Army. Upon his return he farmed on his family's farm. He later worked for the State Highway Department and retired from Honda in 2002. 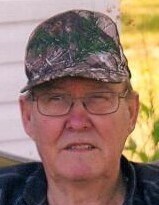 Don was a member of the Roundhead United Methodist Church, the Kenton Coffee Cups Camp Club and the Moose Lodge. He is survived by his wife, Ruth Jane (Schrader) Zimmerman. They shared fifty two years of marriage and were blessed with three daughters, Donna (Jeffrey) Patterson, Dianna (Gary) Coleman, and Denee (Brett) Albee; his fifteen grandchildren, Cody Patterson, Wade Patterson, Regan Coleman, Nicole Patterson, Zoe Coleman, Katie Patterson, Esther Patterson, Macie Coleman, Tyrese Patterson, Joeb Patterson, Jebadiah Patterson, Willow Albee, Clayton Patterson, Rowan Albee, and Joshua Patterson. The family will receive friends from 1 to 3 P.M. Monday, September 17, 2018 at the Eichholtz Daring & Sanford Funeral Home in Belle Center. Pastor Amber Rex will officiate the funeral service at 3:00 P.M. at the funeral home. Don would request no ties be worn to the service. The funeral arrangements are in the care of the staff of the Eichholtz Daring & Sanford Funeral Home in Belle Center.